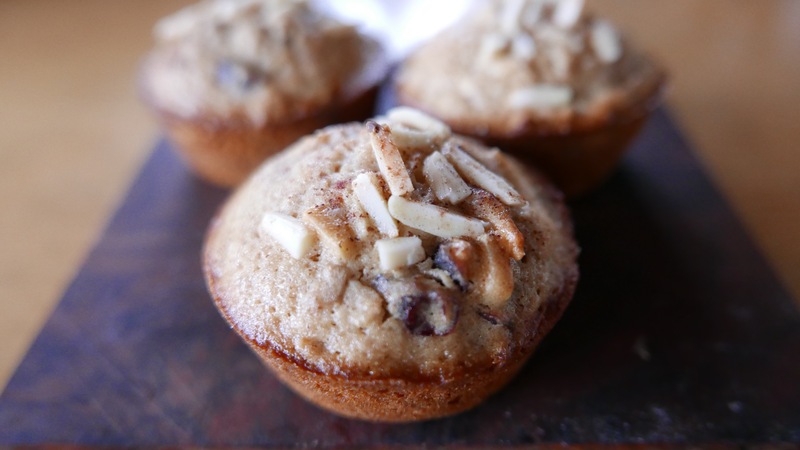 Oatmeal, cranberries, almonds, and maple syrup make this muffin the perfect breakfast bite. Preheat oven to 400 degrees. Grease or line muffin tin. In medium bowl combine oats and milk. Let stand for 5 minutes. In another medium bowl, combine all dry ingredients. Make a well in the center and set aside. Stir in maple syrup, melted butter and egg into oat mixture. Add this all at once to the flour mixture and stir until just mixed. Should be lumpy. Fold in dried fruit and nuts. Spoon into muffin tin. Sprinkle with extra nuts for topping. Bake for about 15 minutes until toothpick comes out clean. Let cool for 10 minutes in tin and then remove them and let them cool for a few minutes more.